You'll send their spirits soaring higher and higher with this cheerful yet elegant display of yellow mini gerbera daisies and lush tropical greens! 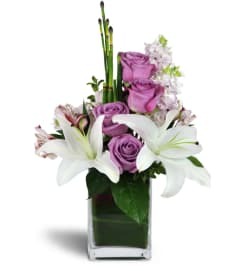 To say happy birthday, congratulations on a job well done, or just to send encouragement to one who needs it, this uplifting display is sure to bring smiles all around! 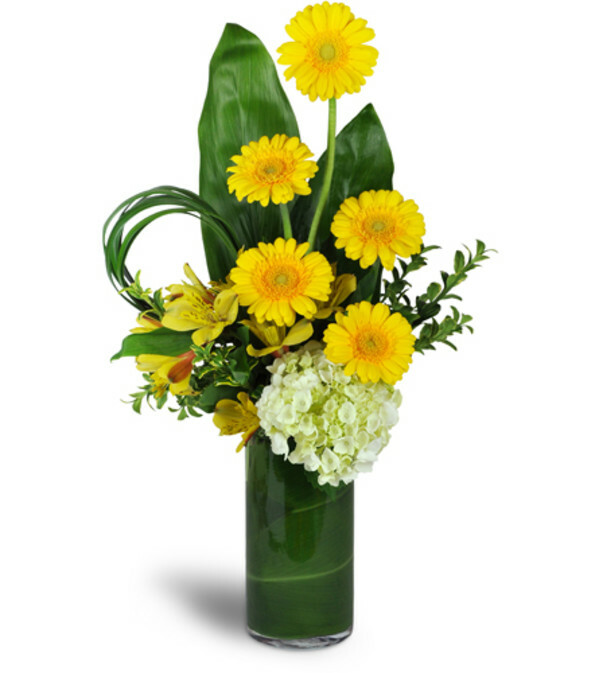 Five sunny yellow mini gerbera daisies are artistically arranged with hydrangea, yellow alstroemeria, and luxe greenery in a modern cylinder vase. Beautiful flowers that made her gush. Perfect birthday gift! DeLoache Florist is a Lovingly Florist in Columbia. Buying local matters. Discover how Lovingly supports local florists. Copyrighted images herein are used with permission by DeLoache Florist.